Vipers SC have Tuesday morning left for Sudan ahead of their CAF Champions League clash with Al Merreikh on Wednesday evening. 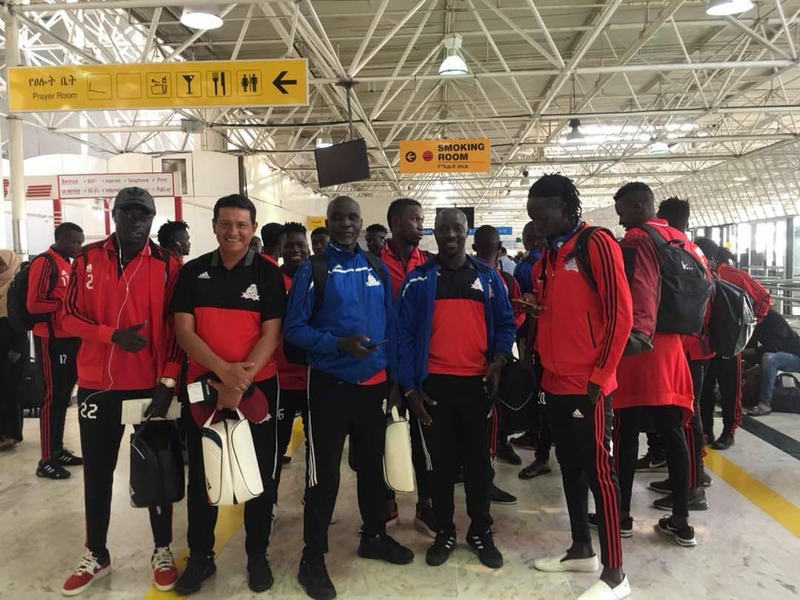 The Venoms who will be representing Uganda in Africa’s premier club competition left Entebbe Airport aboard Ethiopian Airways at around 2:45am in the morning. They arrived in Addis Ababa at 4:55am and will connect from there to Khartoum where they are expected to land at 11am. Before they departed, head coach Javier Martinez named an 18 man squad that will feature in Wednesday’s game. The team does not feature first choice custodian Fabien Mutombora who is currently injured while left back Aggrey Madoi was also left out. This will be the second time that Vipers SC is representing Uganda in the CAF Champions league while their opponents El Merrikh are taking part for a 20th time. The return leg is slated for 5th December at St. Mary’s Stadium, Kitende.